Very few Swiss watches brands are more successful on the international market of luxury watches than Breitling Watches. The brand has close to two-century long history during which it perfected the art of watch making to become one of the top sellers of the highest quality watches in the world. Let us look at the world of Breitling together with the brand’s availability in the Middle-East. 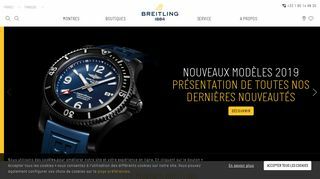 History of Breitling Watches: Founded in 1884 in Saint-Imier, Switzerland by Léon Breitling the brand’s initial specialisation was in the producing of highly professional certified chronometers. Breitling has found its specialisation early on and for a long time, it has been dealing with the production of aviators’ chronometers and then pocket watches. Breitling’s first watch is the Chronomat 01 model made entirely by Breitling. The in-house movement of Breitling used for this watch is their Calibre 01. Later on the company initiated the use of Calibre 04 which is basically equal to the 01 movement with an added GMT. Breitling since then uses either their own movement of movements from Valjoux or ETA which go through Breitling’s own certification process before being inducted in their watches. Today, Breitling’s specialization is in Aviation, Diving and Luxury (limited edition) models. Navitimer: the most famous Aviation model of Breiting came with the participation of astronaut Scott Carpenter who suggested for Breitling to implement a 24-hour dial system. The bezel is also enforced with a circular slide rule and was indeed worn by Carpenter for the Mercury Space Program. The Navitimer is still the most famous professional watch of Breitling. Navitimer is a complication model, one of the best in the world. Emergency: This is another famous model of Breitling for aviation that contains a special radio transmitter for emergency reasons. In 2003, two pilots were saved thanks to their Emergency watches after they had an accident at the Antarctic region. Today, Emergency is available for the public but everyone who purchases this watch must sign an agreement to bear the costs of rescue, should they activate the Emergency function of the watch. The new Emergency II has a higher frequency added to it, which is caught also by Satellites. This watch costs approximately AED 47.000. Breitling for Bentley Mulliner Tourbillon: A real Grande Complication model that represents the highest quality watch making in the world. 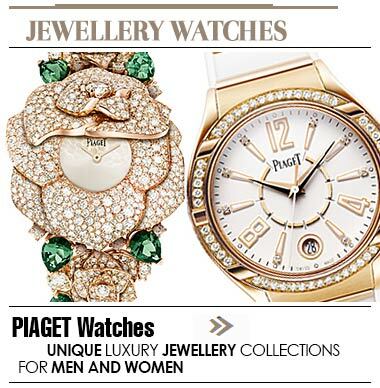 This watch comes in limited collection and it is one of the most expensive watches in the world. The face of the watch today is David Beckham the famous footballer. Other limited edition grande complications for Breitling include Bentley B06, B04 GMT, B05 Unitime and the Light Body Midnight Carbon made of Titanium. All limited collection watches range from 25 to 50 pieces. Current sports collections include the Chronomat, specific diving watches of Breitling include Superocean and Transocean. Another outstanding model is the Montbrillant that looks amazing and it’s a superb navigation watch. 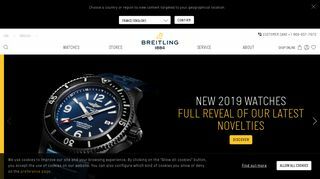 Check out the beauty and premiere quality of Breitling Watches in Hong Kong in order to be able to look at these very special watches in person. The "cheaper" quartz models’ price starts from AED 8000.